We all have guilty pleasures but because this is watch forum let's talk guilty watch pleasures. A watch, so completely 'wrong' that is becomes right Yes, this is mine. To wear it I must acquire a tan this just that too much, wear a shirt that is just too buttoned down and a pinkie ring with a diamond that is just too big Man, I love this watch. The 16613, not them later models. "Waiter, bring me another bottle of Crystal and ask those lovely ladies if they want a bottle as well!". WatchDogue, arogle1stus, Roarry and 2 others like this. With gold chain and medallion displayed proudly atop the chest hairs in that open shirt. Wait - 6105-8110 homage coming? Already threadjacked. I have no chest hairs But I like the thought and yes, you have a very keen eye for details Couldn’t resist it, bought it from an eBay dealer, they knocked off a tenner of the price. I have other stuff coming in, straps, like in French Mariner straps. I will fill in the details later. "Waiter, bring me another bottle of Crystal and ask those lovely ladies if they want a bottle as well!". Not really a guilty pleasure just a little unusual I would love to own both of these even with my no quartz policy. They are a little pricey in good condition though. I just need a flared safari suit and I am good to go. 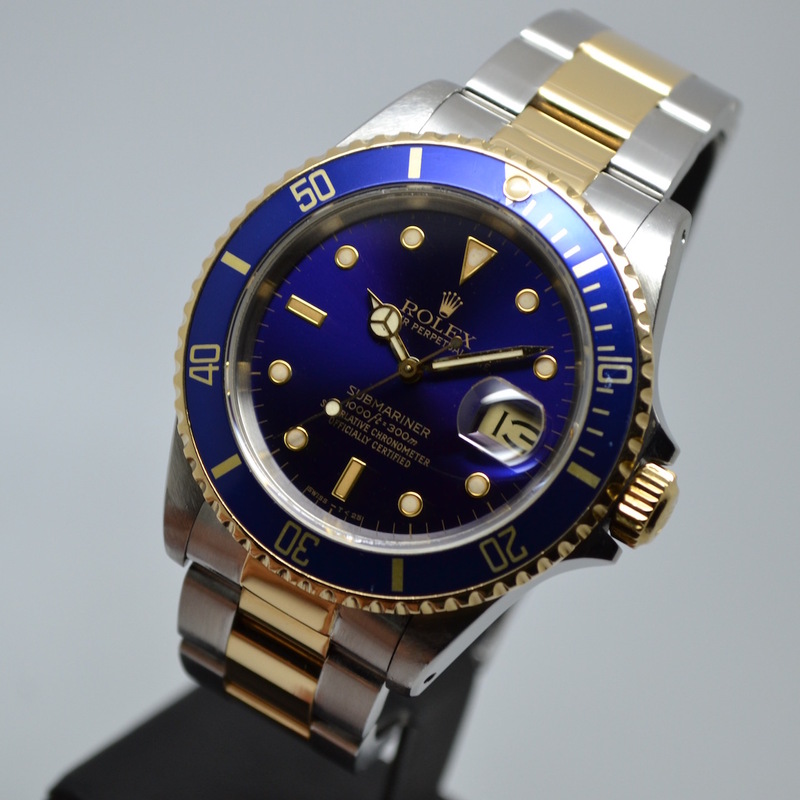 GoodWatch, Reflex, enricosonic and 1 others like this. IMHO watch guilt is a victimless issue. Not exactly the Ponzi Scheme. than they are in Texas. So therefore watches should be cheaper as well? the $ and the Euro. Now if I were wasting money gambling in Vegas I'd feel guilty. Roarry and timemoves like this. No guilt whatsoever as long as nothing else is being sacrificed that takes precedence. It's just stuff. desk_diver and timemoves like this. I used to own that same exact Omega, gave it up after I couldn't find replacement batteries for it anymore, and it took two. I don't think replacement modules will be easy to come by either. priced IMHO.Buy something that can't be repaired? Naw!!! done that in 65+ years of watch acquisitioning. to a collection. Any collection ! Yowza, check them out. Outstanding !! What a terrific topic !!! bit since originally adding it to the collection. Yep, gotta say the two old school digital Omegas are very cool.., or as my young son would say, "epic" ! 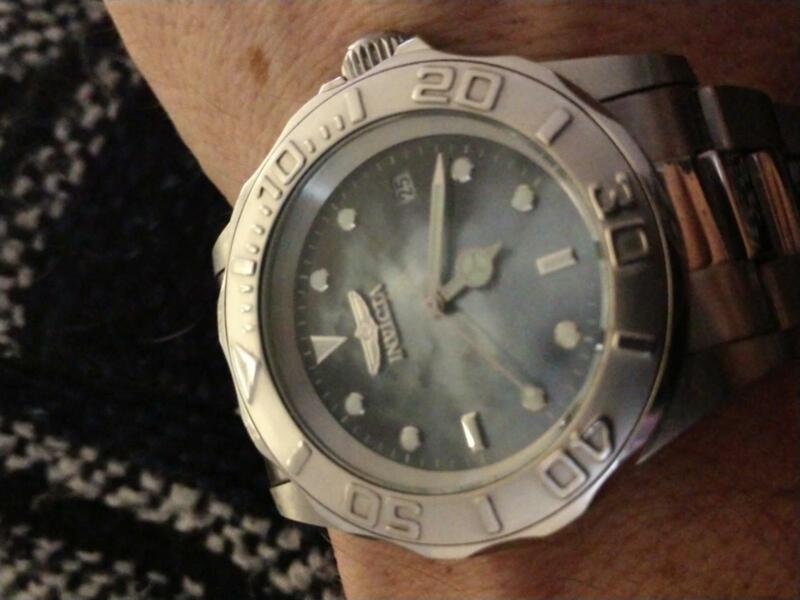 I don't know that I feel much guilt about it, haha, but I still like my Invictas. I drank deep of the Lalo That's-So-Kewl Aid, early on in my watch years, and racked up quite a few buys from Shop NBC, and later eBay and Evine. 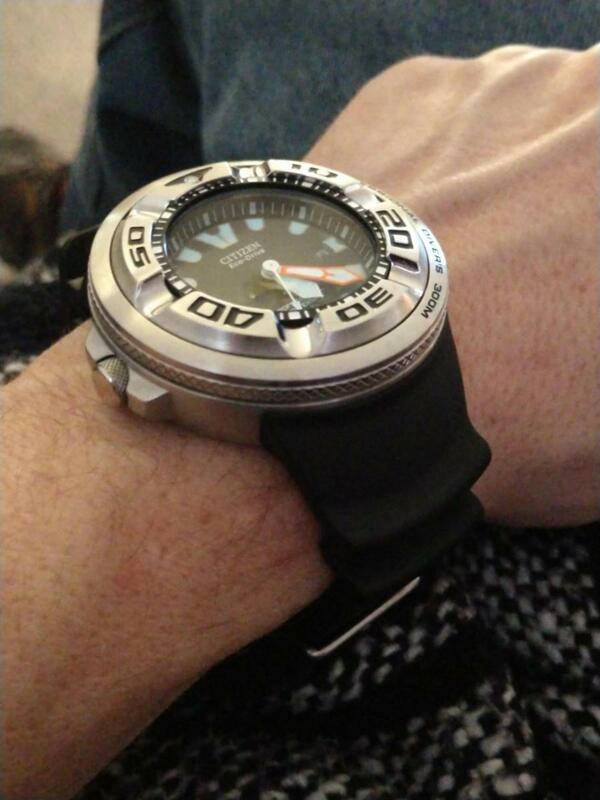 It was a Certina DS Action Diver (the earlier ETA 2824-2 version) that snapped me out of the habit, although I was pretty deep into it, and I think some of that Lalo stuff stays in the spine or something! Fortunately, I have never bought for resale, so I was never haunted by any of my purchases and, I just liked them. Would like to say I never looked back, once out of the brand, but, guilty pleasure, I have still picked up the occasional one over the years. Most recent was a Batman design. Special Edition, no less! Will someday be worth a lot of...nothing, ha. But, again, I just liked it, and wanted a DC tribute piece and the particular style was very appealing. So, quick, cheap, satisfying, a bit like junk food, I suppose, but not as toxic. Well, depending on the audience that hears about it, LOL. In fact, I'm wearing one now and it's a good example of pieces I found that were/are appealing. It's a Pro Diver, from the Sea Base line, MOP dial, high polish case and bracelet, actual sapphire crystal and the trusty Seiko NH35A running inside. Accurate, reliable, and, for me, a lovely piece, especially at not too far over a hundred bucks. I'll even still wear my gaudy, four pound biggies from time to time, just to remind myself that I got into this hobby for the sheer fun of it. A few I can't really justify even as daily wearable (Ecozilla, vintage) so I too remind myself they're just for fun. I know they are fabulous aren't they, I would love to own both. I did try to scratch the vintage LED itch a couple of years ago with a brand new old stock Commodore. I remember them being originally released and they cost roughly the equivalent of an average monthly salary. I flipped it very quickly though as the build quality and finish was absolutely dreadful, from folded link bracelet to the incredibly poorly machined case. They do go for silly money, the hardest part is finding one that is in decent condition. I would love to see Omega re-release both of the models pictured.